“Sojourner truth c1870” by Randall Studio – National Portrait Gallery, Smithsonian Institution. This is the first installment of my month-long series showcasing a wonderful piece of poetry by a female poet. I hope to do this for thirty straight days. 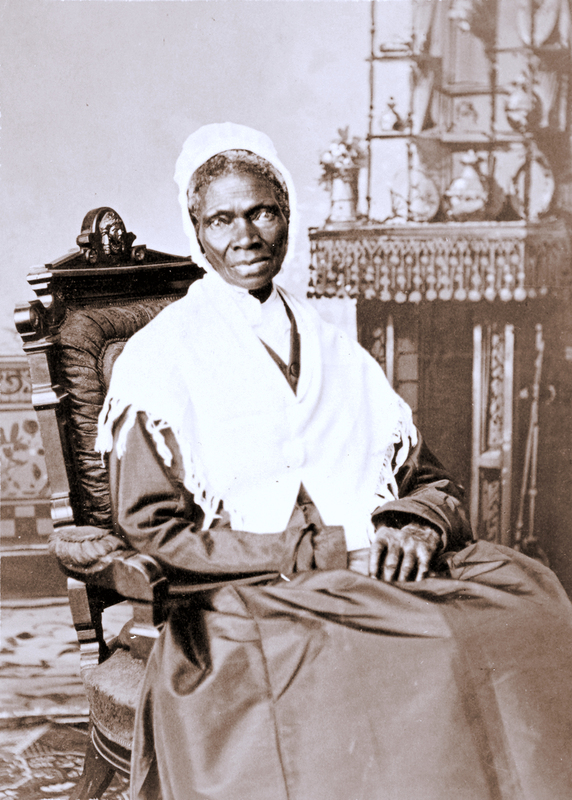 For the first poet, I’ve chosen Sojourner Truth and her incredibly powerful poem, Ain’t I A Woman. I can’t think of a better person more suited to kick off my Womyn-powered series. Sojourner Truth, born into slavery, fought for her freedom and became an abolitionist, a suffragist and what we would now call a human rights activist. She is known as one of the most admired and beloved Americans in history. Sojourner Truth delivered this speech Ain’t I A Woman to the Ohio Women’s Rights Convention in 1851, and while many full versions exist because several people took notes that day (they didn’t have cell phones then to record everything, sorry), this version was adapted from the full text to poetic format by Erelene Stetson in 1938.